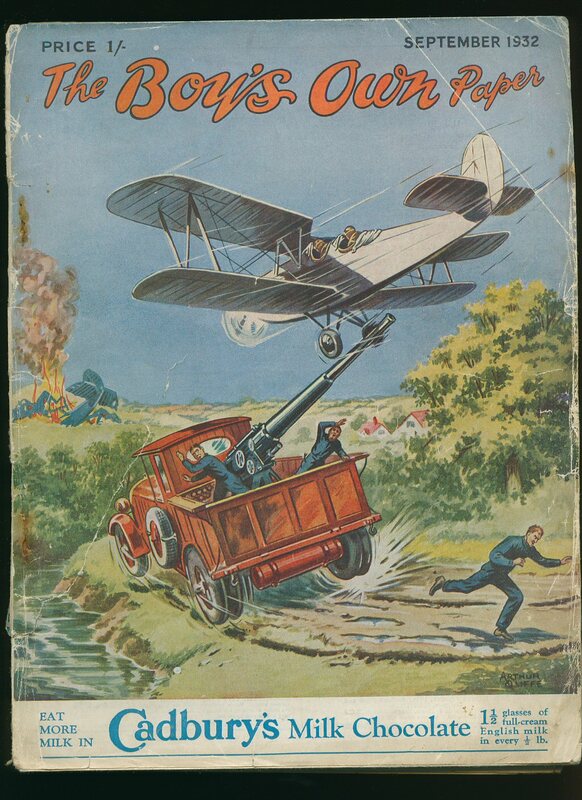 Boy's Own Paper [September 1932 Volume 55]. Published by Boy's Own Paper, 4 Bouverie Street, London September 1932. Publisher's original stapled paper magazine with colour art work front cover and colour illustrated advertisement to the rear. Large format 11'' x 8½''. Contains printed pages of text with monochrome illustrations, photographs and advertisements throughout. Nostalgic popular boys journal with neatly repaired tears to the paper around the spine and with small losses to the spine ends, cover price 1/-. Member of the P.B.F.A. 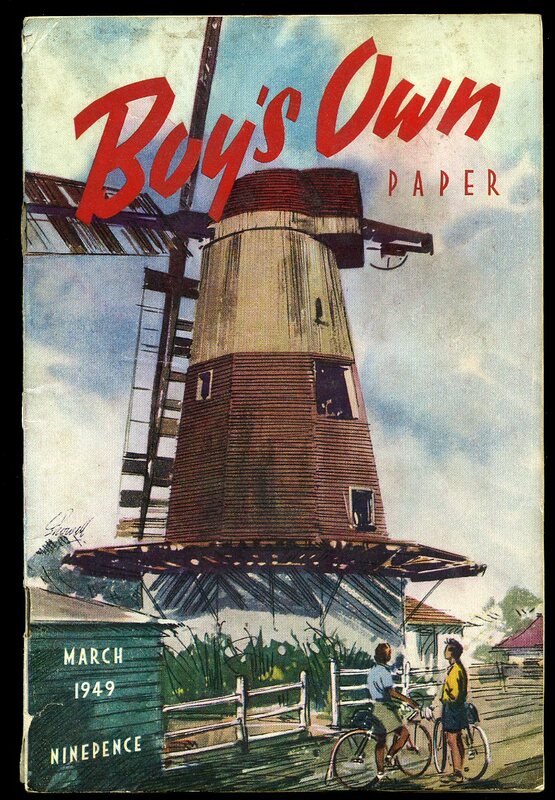 Boy's Own Paper [April 1933 Volume 55]. Published by Boy's Own Paper, 4 Bouverie Street, London April 1933. 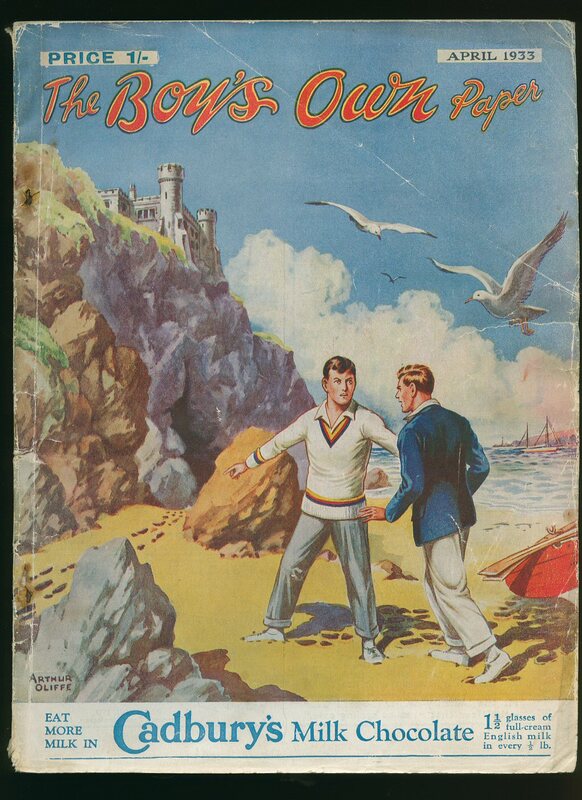 Boy's Own Paper [March 1933 Volume 55]. Published by Boy's Own Paper, 4 Bouverie Street, London March 1933. Boy's Own Paper Volume 76 No. 4 January 1954. Published by Lutterworth Periodicals Ltd., Bouverie Street, London January 1954. 1954. Publisher's original stapled colour illustrated paper covers. Slightly larger format. 8vo. 8½'' x 6½''. Contains 64 printed pages of text with monochrome illustrations throughout. In Very Good clean condition. 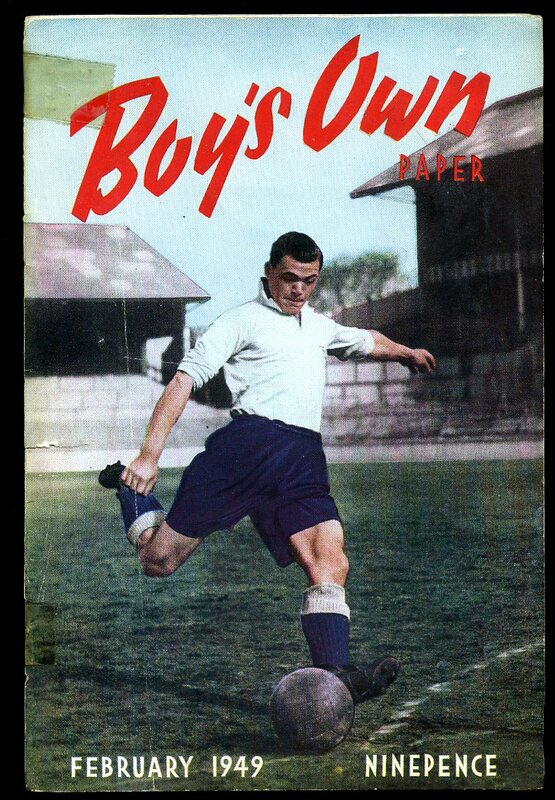 We currently hold in stock 90 other Boy's Own Paper. Member of the P.B.F.A. 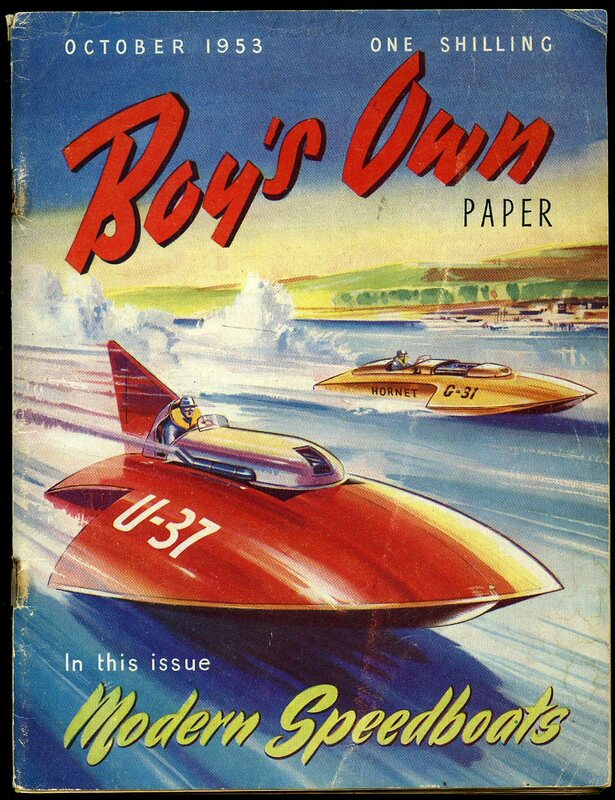 Boy's Own Paper Volume 76 No. 1 October 1953. Published by Lutterworth Periodicals Ltd., Bouverie Street, London October 1953. 1953. Publisher's original stapled colour illustrated paper covers. Slightly larger format. 8vo. 8½'' x 6½''. Contains 72 printed pages of text with monochrome illustrations throughout. In Very Good clean condition. We currently hold in stock 90 other Boy's Own Paper. Member of the P.B.F.A. Published by Lutterworth Periodicals Ltd, Reigate Road, Redhill, Surrey August 1940. Publisher's original stapled paper magazine with superb colour art work front cover and colour illustrated advertisement to the rear. Large format 11'' x 8''. Contains printed pages of text with monochrome illustrations, photographs and advertisements throughout. Nostalgic popular boys journal in Good condition with one page having an advertisement cut out from the centre of the page, name and address to the front cover, cover price 6d. Member of the P.B.F.A. 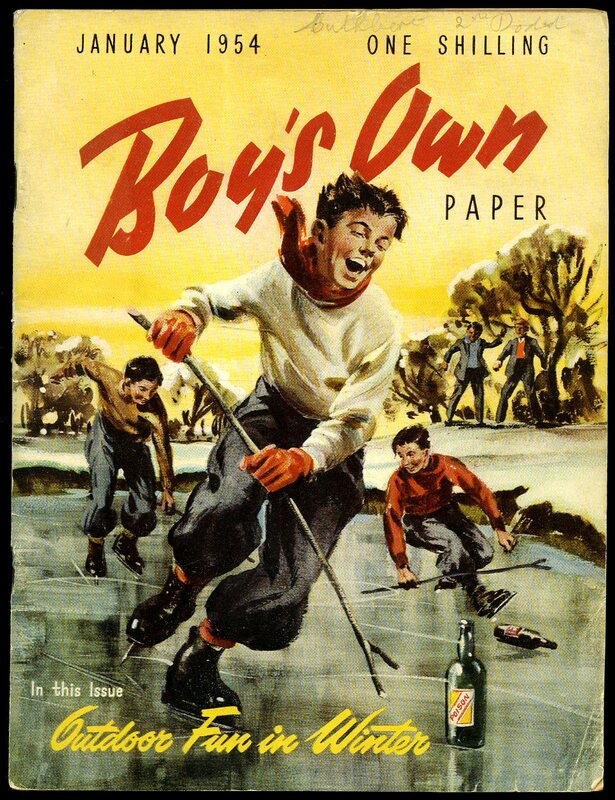 Boy's Own Paper Volume 81. No. 1 October 1958. Published by Lutterworth Periodicals Ltd., 4 Bouverie Street, London October 1958. London 1958. Publisher's original stapled colour paper covers. 8vo 8½'' x 6¼'' 72 pp. Monochrome illustrations throughout. Covers loose and have been taped back on with 'invisible' filmoplast tape, contents in Very Good condition, no dust wrapper as published, priced 1/- to the front cover. Member of the P.B.F.A. Boy's Own Paper Volume 71 No. 10 July 1949. Published by Lutterworth Periodicals Ltd., Redhill July 1949. 1949. Publisher's original stapled colour illustrated paper covers. Slightly smaller format. 8vo. 7½'' x 5''. Contains 72 printed pages of text with monochrome illustrations throughout. Top staple starting to rust and in Very Good clean condition. 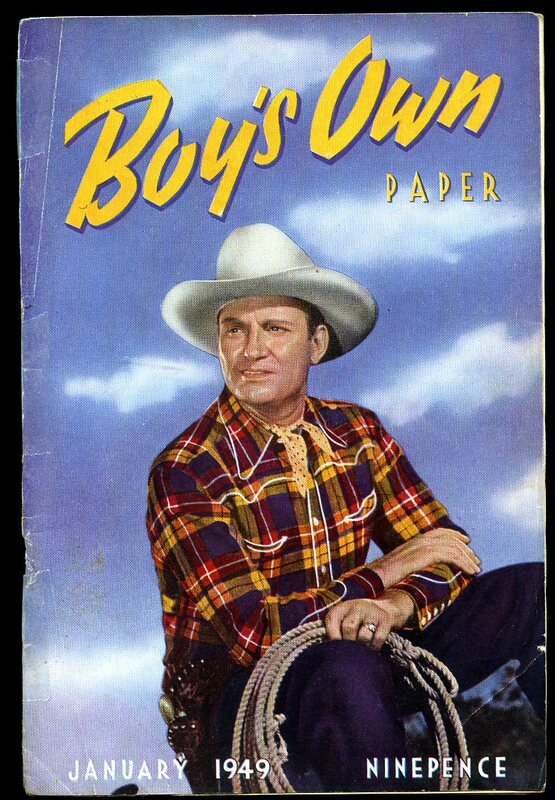 We currently hold in stock 90 other Boy's Own Paper. Member of the P.B.F.A. Boy's Own Paper Volume 71 No. 8 May 1949. Published by Lutterworth Periodicals Ltd., Redhill May 1949. 1949. Publisher's original stapled colour illustrated paper covers. Slightly smaller format. 8vo. 7½'' x 5''. Contains 64 printed pages of text with monochrome illustrations throughout. In Very Good clean condition. Member of the P.B.F.A. 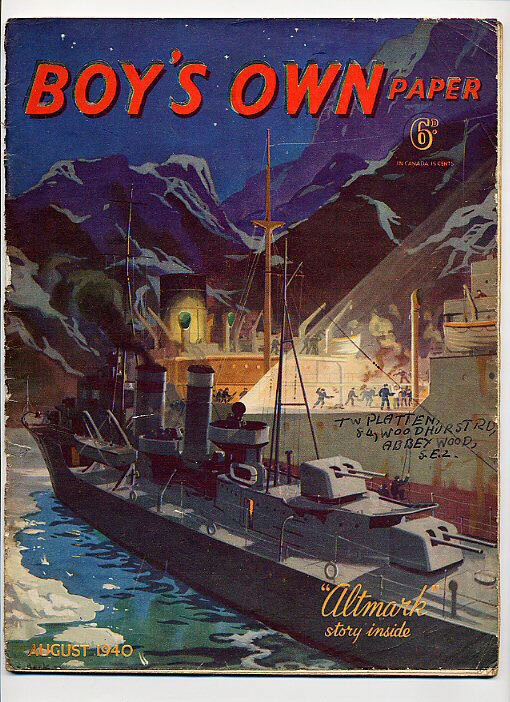 Boy's Own Paper Volume 71 No. 9 June 1949. Published by Lutterworth Periodicals Ltd., Redhill June 1949. 1949. Publisher's original stapled colour illustrated paper covers. Slightly smaller format. 8vo. 7½'' x 5''. Contains 64 printed pages of text with monochrome illustrations throughout. In Very Good clean condition. 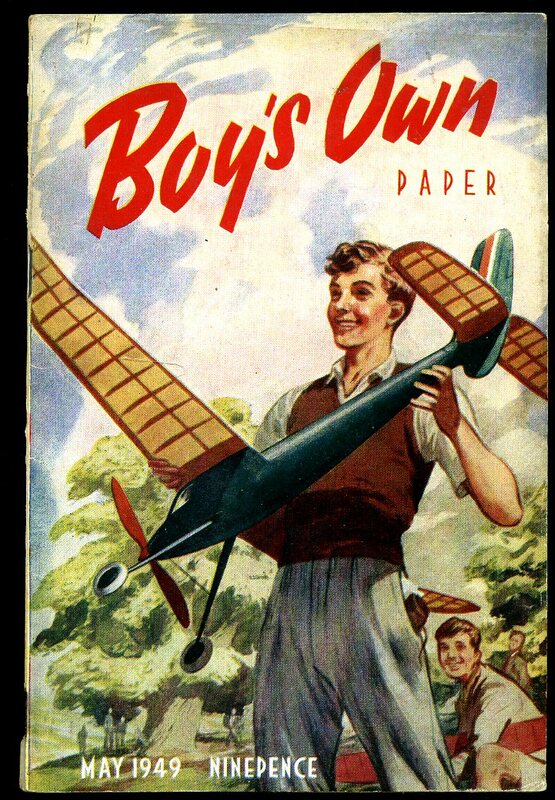 We currently hold in stock 90 other Boy's Own Paper. Member of the P.B.F.A. 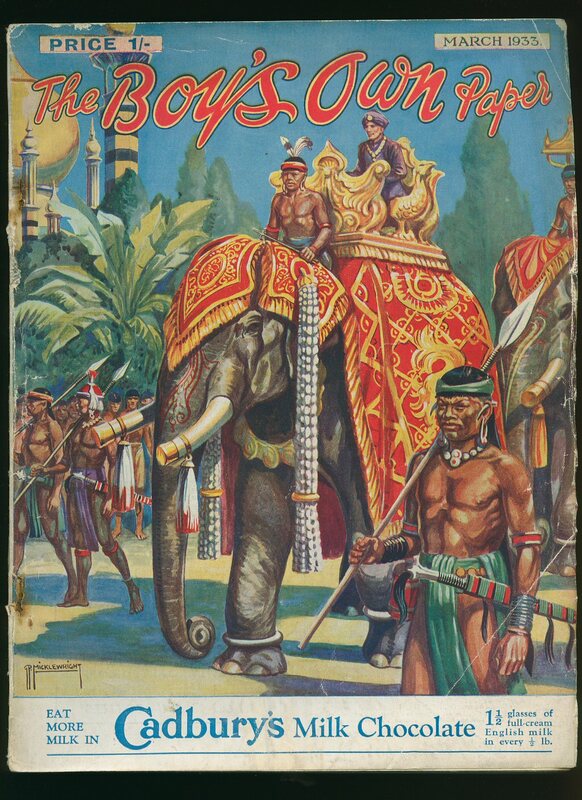 Published by Lutterworth Periodicals Ltd, Reigate Road, Redhill, Surrey February 1942. 1942. Publisher's original stapled paper magazine with superb colour art work front cover and colour illustrated advertisement to the rear. Large format 11'' x 8''. Contains 32 printed pages of text with monochrome illustrations, photographs and advertisements throughout. Nostalgic popular boys journal in Very Good condition with only minor rubs to the covers, cover price 9d, super copy. Member of the P.B.F.A. 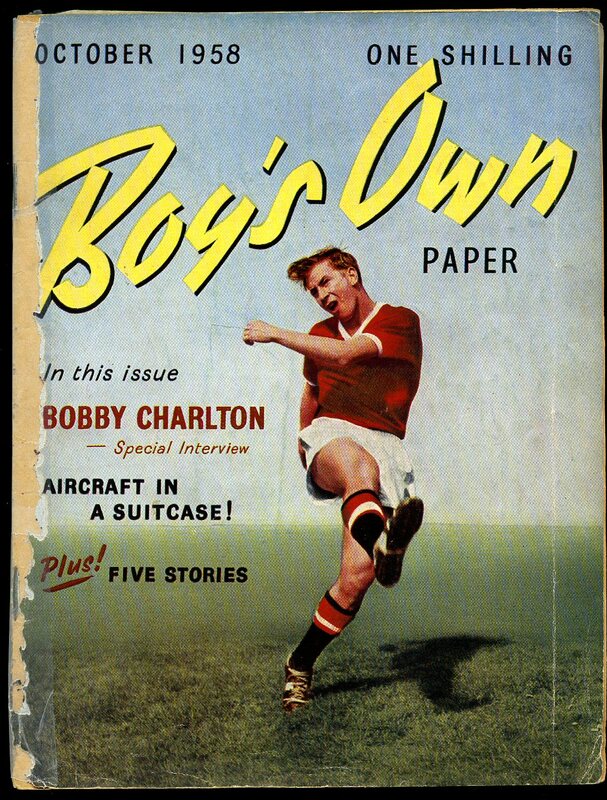 Boy's Own Paper Volume 71 No. 6 March 1949. Published by Lutterworth Periodicals Ltd., Redhill March 1949. 1949. Publisher's original stapled colour illustrated paper covers. Slightly smaller format. 8vo. 7½'' x 5''. Contains 64 printed pages of text with monochrome illustrations throughout. Sixth and final instalment of Elleston Trevor's Forbidden Kingdom. In Very Good clean condition. Member of the P.B.F.A. 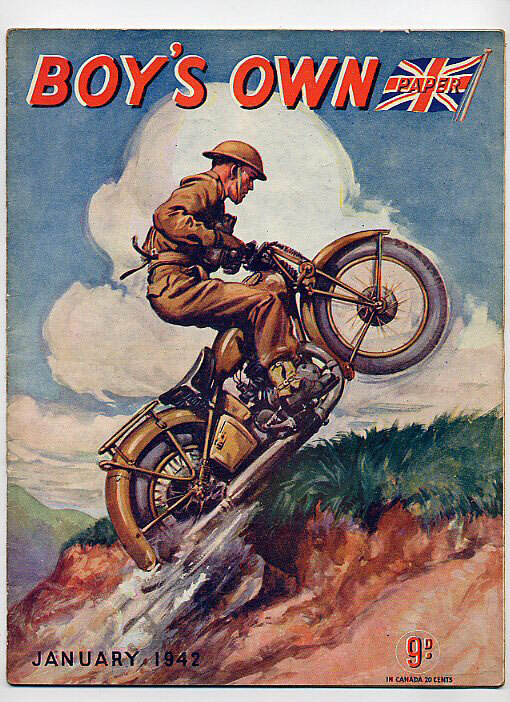 Boy's Own Paper Volume 71 No. 5 February 1949. Published by Lutterworth Periodicals Ltd., Redhill February 1949. 1949. Publisher's original stapled colour illustrated paper covers. Slightly smaller format. 8vo. 7½'' x 5''. Contains 56 printed pages of text with monochrome illustrations throughout. Two small tape repairs across the spine front cover and in Very Good clean condition. 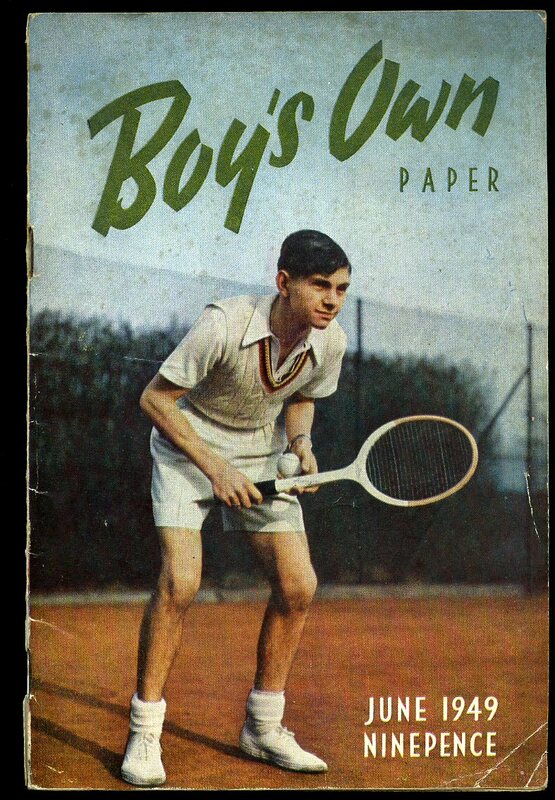 We currently hold in stock 90 other Boy's Own Paper. Member of the P.B.F.A. Published by Lutterworth Periodicals Ltd, Reigate Road, Redhill, Surrey January 1942. 1942. 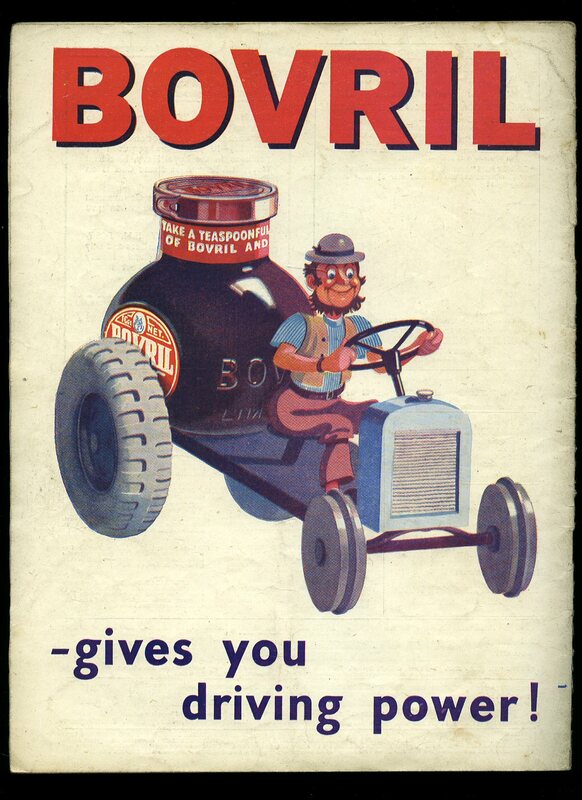 Publisher's original stapled paper magazine with superb colour art work front cover and superb colour illustrated advertisement for 'Bovril' to the rear. Large format 11'' x 8''. Contains 32 printed pages of text with monochrome illustrations, photographs and advertisements throughout. Nostalgic popular boys journal in Very Good condition with only very minimal rubbing to the covers, super copy, cover price 9d. Member of the P.B.F.A. 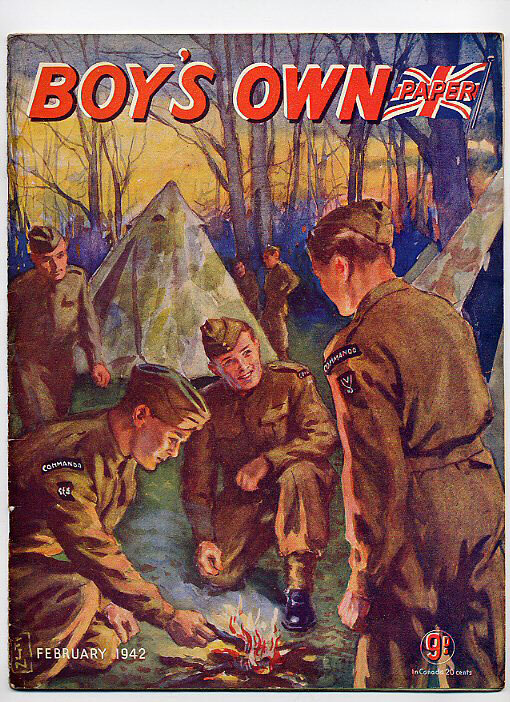 Boy's Own Paper Volume 71 No. 4 January 1949. Published by Lutterworth Periodicals Ltd., Redhill January 1949. 1949. Publisher's original stapled colour illustrated paper covers. Slightly smaller format. 8vo. 7½'' x 5''. Contains 56 printed pages of text with monochrome illustrations throughout. Staples starting to rust, front cover loose and in Very Good clean condition. 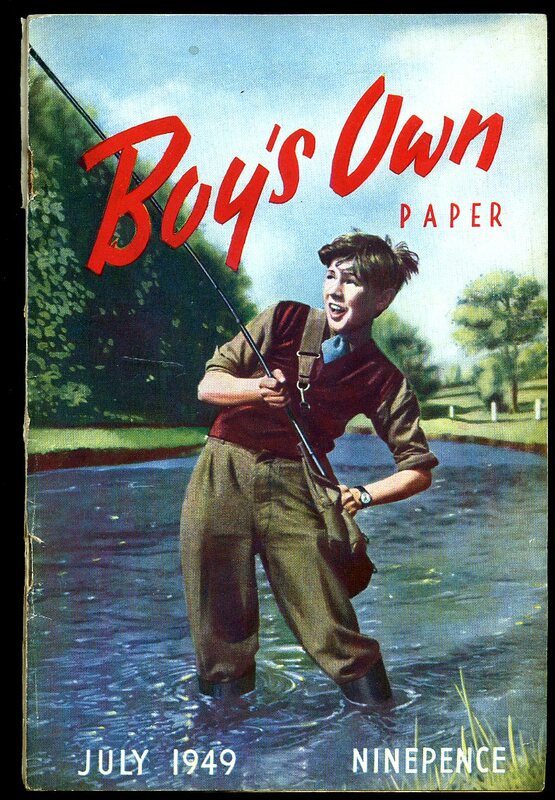 We currently hold in stock 90 other Boy's Own Paper. Member of the P.B.F.A.